Experience ALL of Hawaii’s beautiful charms, from the deck of a Norwegian Cruise Line ship! 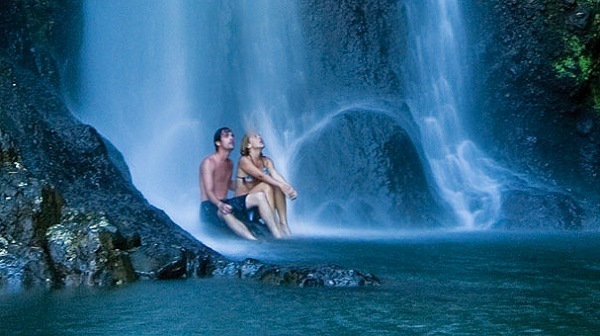 Discover cascading waterfalls, active volcanos, black, green and white sand beaches, historic sites and unspoiled nature on the 7 day voyage.voted “Best Hawaiian Itinerary” ten years in a row. Only Norwegian visits four Hawaiian islands in seven days, giving you more opportunities to capture the pure spirit and soul of Hawaii. Norwegian invented “freestyle cruising” providing ultimate flexibility…choose from 89 different shore excursions and build your ultimate Hawaiian vacation! Climb to the top of Diamond Head. Take a romantic sunset stroll on Waikiki Beach. Catch a glimpse of history by visiting Pearl Harbor and the National Memorial Cemetery of the Pacific. A surplus of natural splendor and the genuine hospitality of its people have helped to make Maui Hawaii’s second most popular island. Explore the fascinating history of the town of Lahaina. Plant yourself on a pristine beach, or play one of the world’s most beautiful golf courses. The entire city of Hilo is like one giant greenhouse with spectacular tropical flowers at every turn. Visit the town’s well-preserved historic buildings, which date back to the turn of the century and showcase Hawaii’s unique architecture. Just 30 miles away the Hawaii Volcanoes National Park is the home of the active Kilauea Volcano. Named after the Wiliwili trees, which once lined its picturesque harbor, this lovely port of Kauai is your gateway to what many believe to be Hawaii’s most beautiful island. On “The Garden Island,” nature is truly the star, from the dramatic mountains of Kokee to the cool rainforests of Haena. And the tradition of the luau adds lively entertainment unique to Hawaii. This amazing cruise-only package starts at $899 per person, based on double occupancy and includes your choice of one of four special offers, like a complimentary pre-cruise hotel night in Honolulu, complimentary specialty meals, or $50 per port shore excursion credits. Rates vary by sail date and stateroom type and are subject to change without notice. Call Susan Rogers in our Vacation Department at (678) 420-2510 | or Toll-Free at: (800) 950-2950 or email her at vacations@teplis.com to explore your options today!